​Preston's carefree, easy going, life and nature were shattered long years ago, in a dark memory that still haunts him to this day. Like most people he had never really paid attention to time; until time was all he had, all he could hope for. In the end no matter how much he screamed, pleaded, and demanded, the time had run out. That would not happen again. Since that day Preston had been on time and acutely aware of everything going on around him. Everything in his life had become measured and exact, with any deviation causing great emotional upset. He had even started a new career which suited him perfectly, as an actuary. Precision was a key part of the role and there was very little excitement. He neither did great nor poorly at his job, he was merely quiet and efficient. This level of predictability may be boring to some, but to Preston it was a life vest in the chaotic sea of life. If you stayed on time, nothing bad would happen. This theory had worked so far for him and would continue to do so, there was no reason why it would not. Until the day of the strange encounter in the coffee shop, with the beautiful young woman who was rambling about something called Project Persyphious. It was all very un-nerving and he had pushed it out of his mind, until his life suddenly started spiralling out of control, leaving him with a devastating choice. 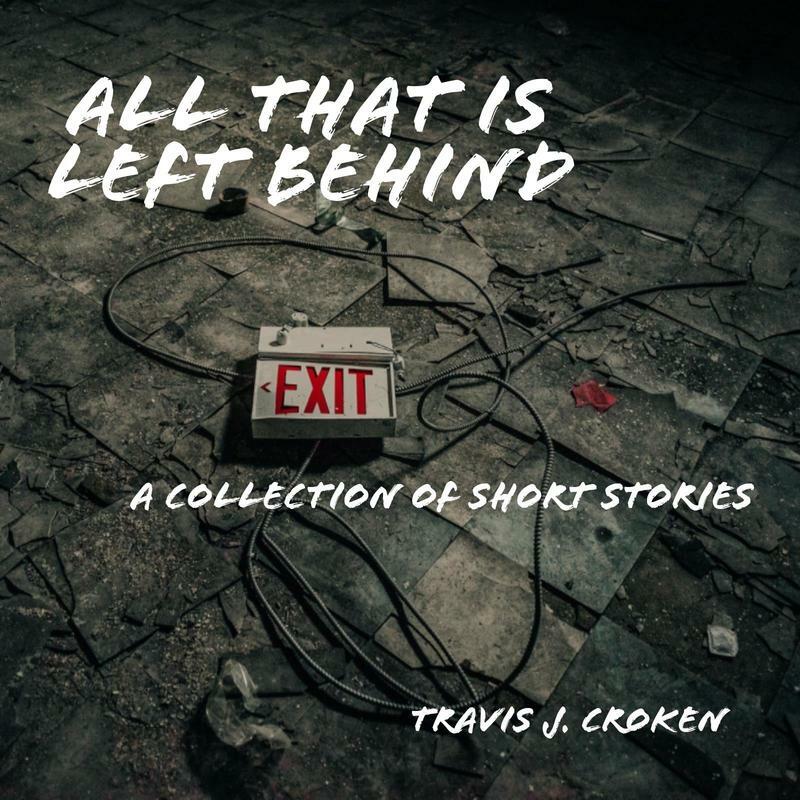 All That is Left Behind, a collection of short stories designed to bring you to the darker side of life. Catch a glimpse into the life of a loving wife, live in a moment that none survive, and follow a spiral down into madness, along with many other stories to terrify and distress you. What happens when a species goes extinct? Do they know they are going extinct? Can they sense it or do they just walk heedlessly into oblivion? More importantly, what causes a species to suddenly vanish off of the face of our planet? When a journal from a long forgotten species is uncovered, some of these questions may finally be answered. The histories within the journal promise to be as interesting as the journal itself. Bound in leather and in tatters, it survived the heralding of a new era, to bring with it an echo of the past. Through long, highly secretive, and laborious work, a group of scholars were able to transcribe the messy scrawls and crude sketches into something clearly decipherable. To their shock and horror they found it to be a chronical of the last days of a species. It described something they could never have imagined, an extinction protocol. There was much debate over the dissemination of this information, with the scholars dividing into two main factions. One that believed this journal to be from an age long past, from a lifeform eerily similar to ours, while others believe that this is not an artifact from the past, but rather from the future, sent back as a warning. The basis of both arguments being, what is widely considered to be a date reference within its pages, 2187. With no end of the argument in sight, it was finally decided to allow you, dear readers, to weigh in. Is this a dark portend of things to come or is this a past echo?